I know members do not rate Scott Drake products. 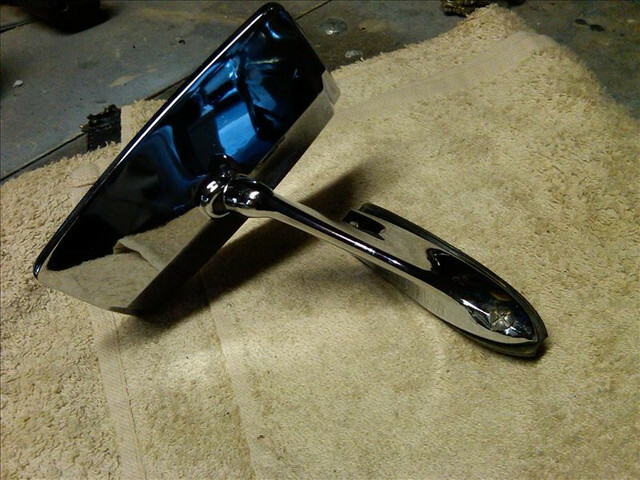 I want to know if anyone has bought the chrome mirror from them? There website states their mirror will fit any 67-73 and it will fit left or right. They dont give any measurements on their website. 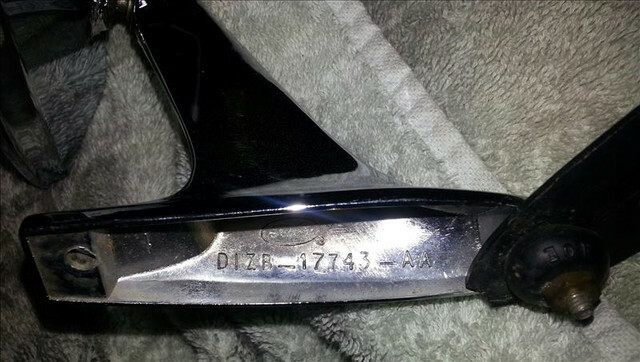 If you visit CJPony the same mirror is advertised as a 67-68 only fitment. If any member has a 67-70 Mustang could you please measure the distance between the mounting hole centres for me. (04-01-2019, 08:05 AM)Pegleg Wrote: I know members do not rate Scott Drake products. I want to know if anyone has bought the chrome mirror from them? There website states their mirror will fit any 67-73 and it will fit left or right. They dont give any measurements on their website. If you visit CJPony the same mirror is advertised as a 67-68 only fitment. I use to have an original chrome mirror, but I gave it away. 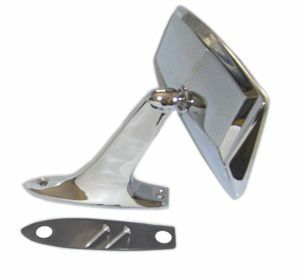 As I recall, the stock 71-73 chrome mirror base is shorter in length than the 71-73 sport mirrors, so the holes are closer together. I believe the forward/front mounting hole on the door is in the same location for the chrome and sport mirrors, but the rear hole will be a different location. Obviously, the plastic gasket is also shorter. Knowing that the 71-73 casting numbers begin with: D1..... They are different than the 67-70 years. How different I don't know. (04-01-2019, 09:42 AM)rackerm Wrote: I use to have an original chrome mirror, but I gave it away. As I recall, the stock 71-73 chrome mirror base is shorter in length than the 71-73 sport mirrors, so the holes are closer together. I believe the forward/front mounting hole on the door is in the same location for the chrome and sport mirrors, but the rear hole will be a different location. Obviously, the plastic gasket is also shorter.